Ulwelling | Siddiqui LLP was founded in April 2004 by two colleagues who shared a common vision for excellence and service to their clients. The founding partners left their positions as successful attorneys at a large Los Angeles-based law firm to establish a top-tier litigation firm reflecting their vision. Today, the firm handles a wide range of matters, from simple local business disputes to high-profile complex cases garnering local, national and international media attention. With offices in Los Angeles and Orange County, Ulwelling | Siddiqui LLP provides its clients with an uncompromising commitment to excellence. We understand that each case is unique. While one matter may call for trial and complex litigation, another might best be resolved through a simple phone call. The firm's lawyers are trained to recognize and apply individualized solutions. Our attorneys listen. They seek to understand the concerns and goals of each client. They communicate clearly. They offer practical solutions. They are prepared to serve as trial lawyers, advocates, counselors, defenders or negotiators, as the circumstances may warrant. Above all, they are tireless champions for their clients. In all matters, Ulwelling | Siddiqui LLP strives to deliver the highest level of service and to offer pragmatic solutions to real world challenges. 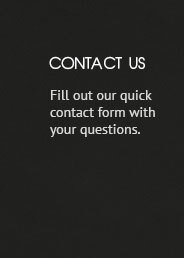 For more information about our firm, please contact us.